Turn an avid 2" frog into a mouse. Fold paper and draw ear pattern as shown. Test fit on blank. when it is right, unfold it and mark stencil plastic where you want the ears cupped. Punch holes in a piece of 1/4" craft foam where you want the ears cupped. Use a heat gun to vacuu-form the ears. Fold the plastic to match the two indents. Lay your paper pattern on the fold, putting the cups in the best looking place. Cut them out then attach to frog blank using the fold line and the seam on lure as a guide. The beginning of the ears should sit just behind the eyes. bottom - Createx T med gray. Sides - o white. Top - T dark brown. Apply the second coat sparsely, leaving plenty of brush strokes showing the first coat. Bottom - o white. Sides - T dark brown. Top - T med gray. Tail: Lay some black, brown, or grey maribou fibers flat on a treble and whip finish. The eyes were made with a thin coat of wicked P black sprayed over silver eyes. Thanks Bob, the goosefeather color looks good. Does any one have the recipe for Megabass vision oneten Wakasagi color? Transparent smoke around eyes and little on back. thanks a mill, you dont have any pics of one you have done ? I do but what I did is to turn it into a trout I just stippled spots on it. White, a little yellow, and then a drop of brown to taste. Or you can add a drop of black to get a grey bone. 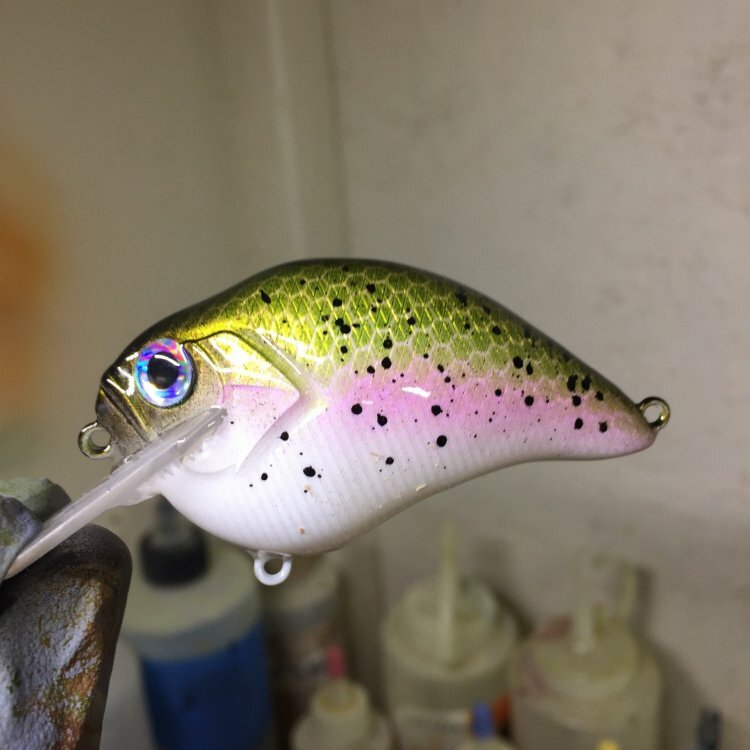 Does any one have the recipe for Megabass vision oneten Wakasagi﻿ color? 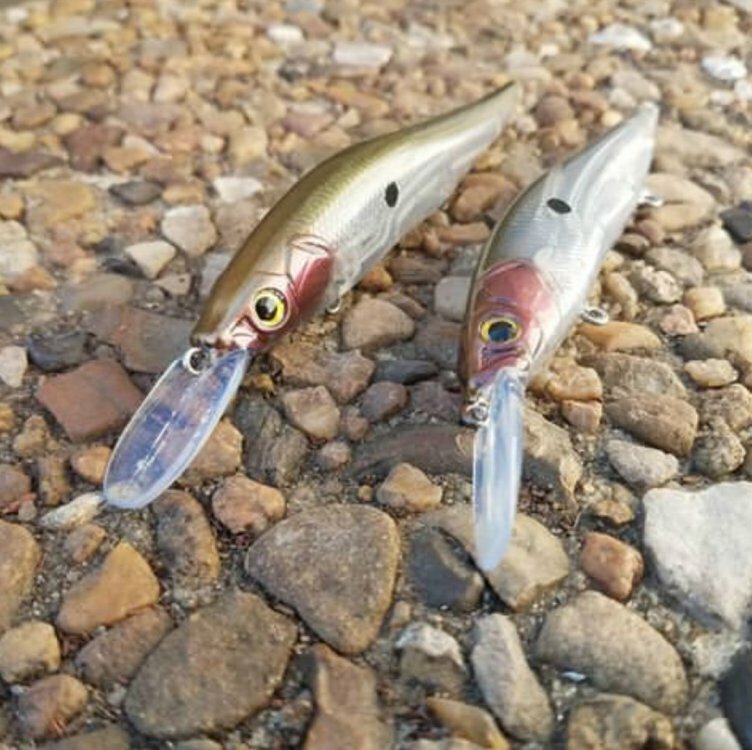 Have not seen one in person, will have to visit the tackle shop. lightly mist remaining pearl white area with iridescent blue.